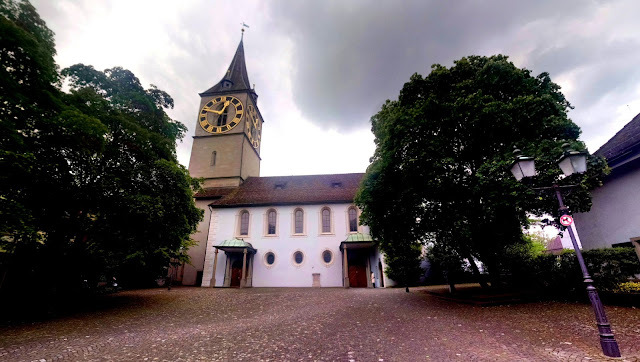 Recently I spent a week in Switzerland, and had many adventures, and took many pictures. I was based in Zurich. This is the final of three posts containing the pictures I took while walking those streets. Starting back with a scene taken on a bridge over the Limmat river. Outside seating like this is a very common sight in this city. As a North American, its refreshing to see a city so walkable, and open. I love the colours on these buildings. Some murals under a cathedral. I believe this mural is depicting the story of 3 saints who were beheaded. The saints apparently carried their own heads to a certain point where they then fell over. That spot is where they build the Grossmunster. Another shot of the Grossmunster. Interesting story happened here. See the bride and groom on the bottom left? A few moments after I took this shot, I walked across the bridge and took another shot of the happy couple. As I did their official wedding photographer photo bombed my shot by jumping in front of it. It was highly amusing (unfortunately that shot didn't come out). 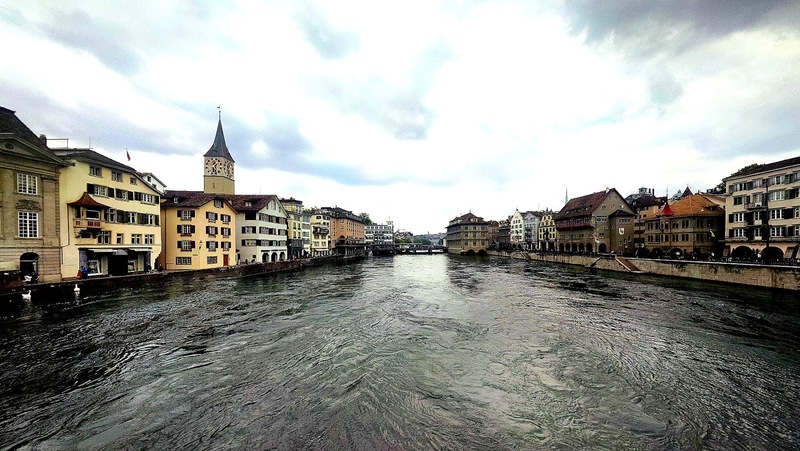 Another Limmat shot, this time looking northward. The light was too fantastic to pass up. This is St. Peters Church. See that lock face? Apparently it is the largest clock face in all of Europe. The last view. Looking south down the Limmat. So that was Zurich. I had plenty of adventures in Switzerland (and surrounding area), so stay tuned! There is much further story telling to be told.